NEARLY 100 years have passed since Saudi Arabia’s founder King Abdul Aziz first urged citizens to start investing in oil-giant company Aramco. Exactly 96 years later, Deputy Crown Prince Muhammad Bin Salman, second deputy premier and minister of defense, would echo the same words. 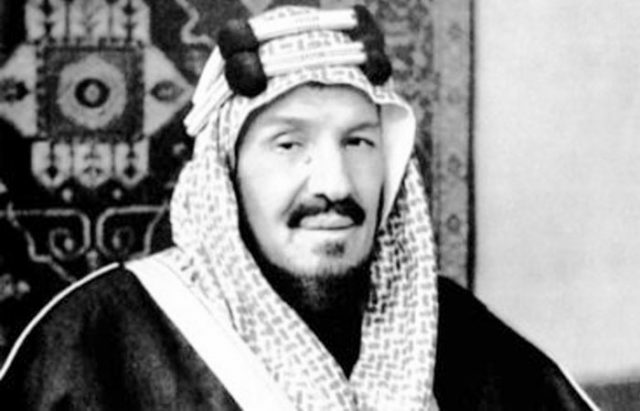 Al Arabiya has obtained a copy of the late founding King’s speech in which it was addressed to Prince Abdul Aziz Bin Musa’ed, the then emir of Buraidah. He was urging the province’s people at the time to start thinking of investing after international petroleum companies began exploring for oil on Saudi lands. King Abdul Aziz said in his speech that the company that was given the authority to explore for oil would be allocated with 60,000 shares geared toward Saudi citizens, noting that this allocation would help “achieve their interests,” considering that this opportunity would not come again any time soon. “The foreigners will have a percentage of the shares and they are making an effort to gain a larger part of those shares, even if they would pay more than the share price,” King Abdul Aziz wrote. In simple language, he explained to Saudi citizens that the share of one pound would be worth up to five or more in the future, essentially cautioning them of the benefits of placing their bets early on. In a recent interview, Prince Muhammad said Aramco will provide a large cash flow to the Public Investment Fund and will help target many sectors in and outside Saudi Arabia. One of the most important sectors that Aramco will fund inside Saudi Arabia is the mining sector, he said.